People buy and sell homes and properties throughout their lives. Let’s face it – the home that worked for you in your 20’s or 30’s is probably not going to still fit your needs in your 40’s or 50’s. You may have purchased your first home when you were single or in a new relationship. You may need to sell it because now you have a child or two, and need more space or want to live in an area with different school options. You might need to move to be closer to family or a new job. You might want to downsize because the kids have moved out or you don’t want as much house to clean. You might want a larger yard or acres of land. Or maybe you want less of a yard so your exterior maintenance is less. 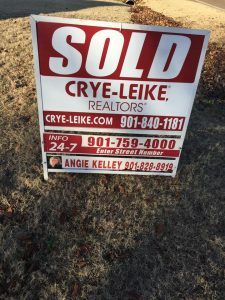 Whatever the reason for your move, I love working with sellers to get their homes sold quickly and for an excellent price. In my 12+ years assisting sellers, I have found that my approach to marketing your home and getting it sold is different and far above what the average agent provides. I also have a team who assists me with the social media marketing and administrative parts of my work, providing me more time and resources to devote to servicing you and getting your property sold. For more information on how I can help you list and sell your home, please fill out the short form below. I’ll be in contact as soon as I can.